This entry was posted on October 28, 2014, 5:41 pm and is filed under Abolishing The Blue Pill Matrix - TRPG Original Content, Big Pharma & Medical Mafia, Control Grid, Eugenics & Depopulation, Red Pills, Vaccines. You can follow any responses to this entry through RSS 2.0. You can leave a response, or trackback from your own site. I will be wearing a mask for the first time in my 20 year career in health care this year, thanks to the newly instituted mandatory flu vaccine policy at my facility. I will also be filing a HIPPA violation complaint as well as an EEOC complaint that forced wearing of a mask violates my rights to medical privacy and is retaliatory behavior. 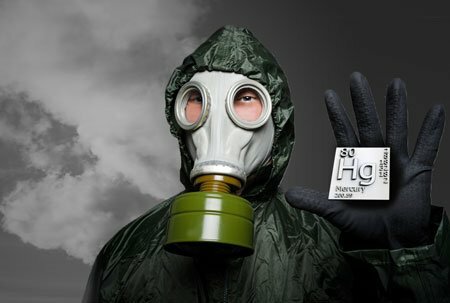 Even if I lose wearing a mask is still better than injecting 25 micrograms of mercury along with aluminum, pseudomonas, MRSA, and a variety of other bacterial contaminants into my body. I am amazed at the people who eat so very carefully, exercise, and then don’t bother to read the ingredients list on a vaccine package insert. Definitely sincerely applaud you for standing up to your rights. This is something more people should do in a variety of scenarios, but especially if their health might be at risk. You are right however. Many people don’t read or know ingredients in not just vaccines but also foods [used to be guilty of this the past]. Not to mention that there are other items whose contents are suspect that people use constantly but do not think twice of. Hopefully your actions incite others to at least take a look at what is taking place. Are there any others in the work place at least contemplating such actions? Yes, I have had conversations with a few of the staff where I work. We will wear our masks in solidarity – because of my big mouth there will be no bonus payment for my facility in the coming year, we’re at 72% compliance instead of 96. I consider it a good deed, done for the future health of my coworkers. And I’m going to a protest march against mandatory vaccination for health care workers tomorrow in the capital.